As a company that thrives on forklift use it is important to keep forklifts maintained and operating at an optimal level at all times. This means keeping up on replacing parts when they are experiencing too much wear and tear. Hi Lo Industrial Trucks Co. has a large inventory of forklift parts and accessories. Including trusted brands such as Allis Chalmers, American Lincoln, Baker/Linde, Caterpillar, Clark, Crown, Cushman, Daewoo/Doosan Daewoo, Datsun, EZ-Go, Hyster, Kalmar AC, Komatsu, Lull, Mastercraft, Mercury Pettibone, Misubishi, Nissan, Prime Mover, Sellick, Skytrack, Taylor, Taylor Dunn, TCM, Taillift, Toyota, Wiggins, Worldlift, and more. To talk to a live sales representative call 313.843.6466 or online at hiloindustrial.com. The hard hat is a given requirement for any construction site, warehouse or manufacturer. It seems to be an obvious piece of protection, but it was not always a given. Head protection was not required for workers until only 50 years ago! Imagine the Industrial Revolution without hard hats to prevent injuries. It wasn’t until 1915 when a company named Bullard started developing hats to protect miners from debris falling on their heads. These hats were originally crafted out of hardened leather and fit more like baseball caps, but the owner of Bullard mimicked the helmets worn in World War 1 and patented the “Hard Boiled” Hat in 1919. For your warehouse equipment needs, look to Hi Lo Industrial Trucks Co. Falling From A Forklift: This type of injury usually occurs when the forklift is not being operated correctly – meaning someone is riding on the fork. This may seem like a fun time, but can result in serious injury! 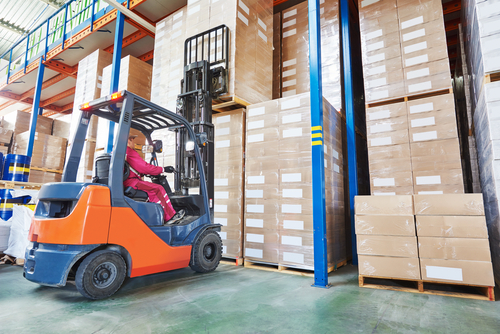 Being Struck By a Forklift: Lifts usually travel at relatively low speeds, so this injury happens mostly because it is being driven too fast and workers do not have time to move out of the way. It can also mean the fork knocked over materials or stacked of palettes on a nearby employee. Forklift Overturning: By mechanical fault or uneven flooring, forklifts can overturn because of the weight distribution, however, wearing a seatbelt and knowing safety procedures can prevent any injuries should it tip. When organizing a full inventory warehouse it is vital to understand the different lift-truck types. This type of lift is used for heavier loads and larger warehouses and storage facilities. Noteworthy electric forklifts types include: Order pickers, stackers, reach trucks, and electric pallet jacks. These lift-truck types are prized for their compact design, ability to move in confined spaces, and load capacity. Electric rider forklifts can lift from 3,000-6,000 lbs while internal combustion lifts have capacities from 3,000-15,500 lbs. Powered lifts are available for rent and sale from Hi-Lo Industrial Trucks Co. for more information and to talk to a representative please call (313)843-6466. When it comes to your work equipment, costs can rise quickly. One way to save money is through renting. By renting equipment, you can ensure you’re getting the right equipment for your business. If you need to try out equipment in various sizes to find the perfect fit, consider renting. Renting is also great when you need a piece of equipment for one particular job. Save money on your business’ equipment by renting from Hi-Lo Industrial Trucks Co. For more information, talk to a representative by calling (313)843-6466. Before you take a drive on a forklift, you should know that legally one must be certified in order to operate the machine. Not doing so can result in serious accidents or fines for a company. Becoming certified to operate a forklift is not hard at all. Research local training places or your job is more than likely to provide you with the proper training in order to obtain your certification. For high-quality forklifts and other machinery, look to Hi Lo Industrial Trucks Co. For more information, contact us at (313)843-646 or peruse our site. Usually when you mention using a forklift everyone tends to imagine a giant warehouse with forklifts buzzing all around. However there are other places that employ the use of forklifts on a regular basis. The stereotypical strong men of the construction site will outright refuse to move the hundred pound bags of concrete mix or even cinder blocks. Forklifts are used instead and for moving most construction material into place actually. Certain cargo is too heavy to ship by plane and must be taken inland. Therefore trucking companies are hired to get cargo at their destination in time. So dock workers must quickly get these loads onto the truck by forklift. Everyone has seen the gigantic cargo ships with their huge containers. So its impossible to load by hand and nearly so to use regular forklifts. 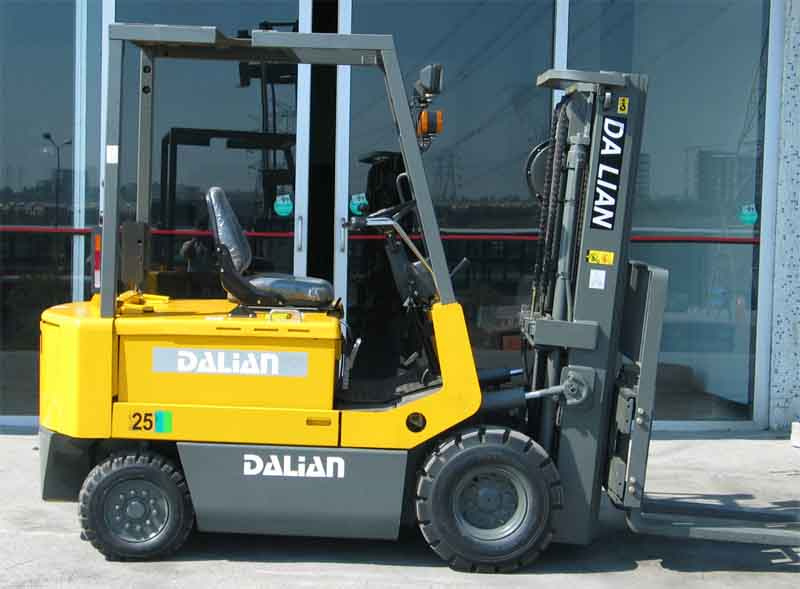 Larger and heavier duty forklifts are needed to shift cargo around. Whatever your business does, a forklift will always be needed. So if you need a forklift to get the job done visit Hi Lo Industrial to get one as soon as possible.